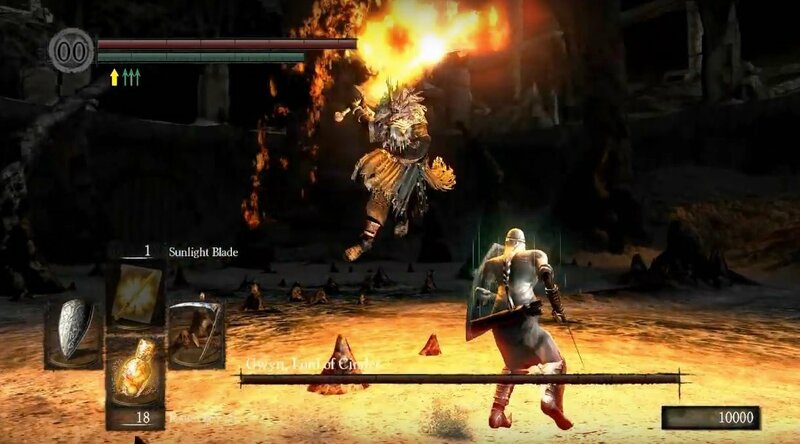 Kiln of the First Flame is a Location in Dark Souls and Dark Souls Remastered. Once you've obtained the souls necessary to power the Lordvessel in the Firelink Altar, you may begin the end of your first journey. 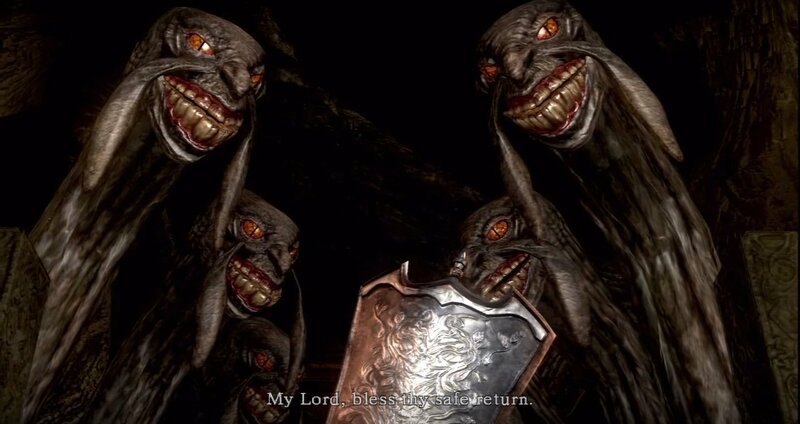 Rampage - Once you have acquired all four souls of the chaos lords: Seath the Scaleless, The Bed of Chaos, Gravelord Nito and The Four Kings; you are ready to proceed with the final quest of your first playthrough. You can take this time to finish up any unfinished side quests, collect any uncollected items, or find all the NPCs you've become friends with and kill them for their loot; since completing this mission will take you to New Game Plus, all encounters with NPCs will be forgotten, and forgiven. Offerings - Once you've finished dotting your "i"s and crossing your "t"s, you may return to Firelink Shrine, talk to Kingseeker Frampt or merely jump down the hole he sits on. 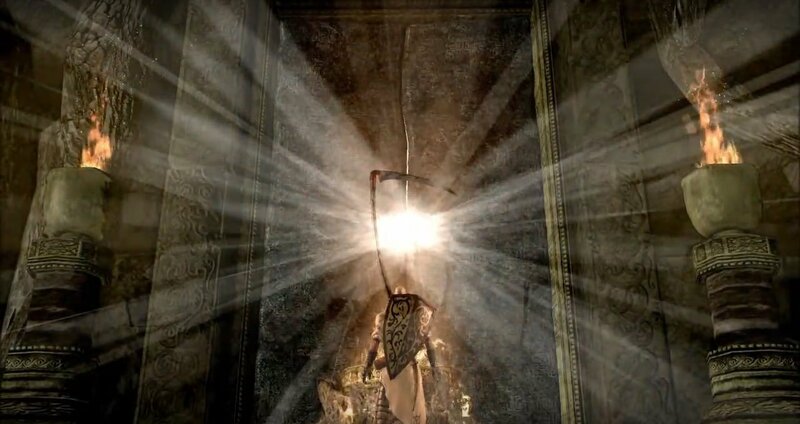 When you get to the Firelink Altar, select 'Offer souls to Lordvessel' to trigger a cinematic showing just that, watch the gates to the Kiln of the First Flame, open. The Last Adventure - Make your way down the illuminated staircase, then down the right of the ashy wasteland. On your way down you should notice two enemies in the distance, these are Black Knights. Fight them, one after the other, then continue forward until you come to the end of the ashy ground, and see thin stone walkways. Get on it, and continue along until you reach the walkway before the next Black Knight. On the right of the walkway you should be standing on, find the Black Knight Set, but take the one ahead on first. Walk to the end and then down the stairs on the right. Here you will encounter another two Black Knights, the one at the end wields a halberd. Touch the bonfire for the "good" ending and the To Link the Fire Achievement/Trophy. 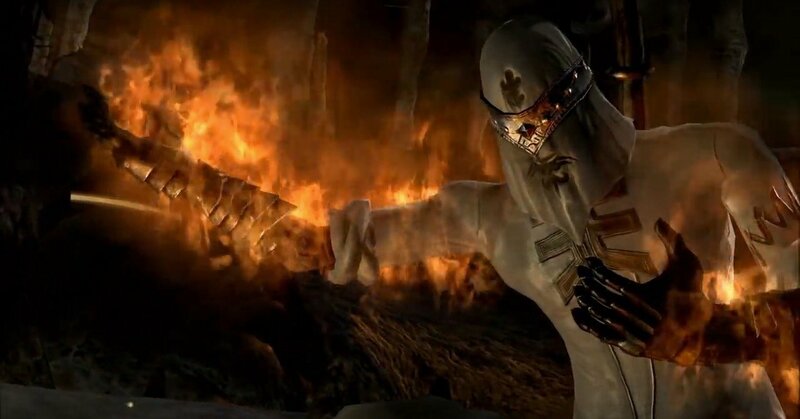 This ending continues the age of fire, and the continues cycle: Gwyn once lit the fire and became the big bad, and the chosen undead - you - would succeed him. This was his fate, as will it become yours, if you light the fire. Walk away and leave the area for the "evil" ending and the Dark Lord achievement/Trophy. This ending ushers the age of darkness, and breaks the cycle. 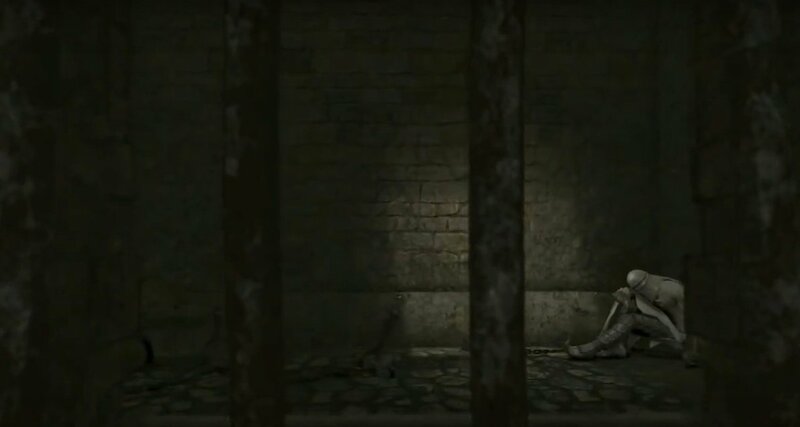 Regardless of the ending you've chosen, you will be transported back to the cell you started the game, in the Northern Undead Asylum, after the credits roll. From here, the stakes will change slightly. Visit our New Game Plus page to find out more. Hope you've enjoyed the journey! A fast walkthrough of how to get to the end of the level the fastest, picking up only essential items goes here. If you have defeated Gwyn and touch the bonfire (or either leave the area) the game ends without a warning and you will be thrown into a New Game Plus! So if you want to do some stuff before finishing the game (farming, questing, optional bosses and areas) do it BEFORE killing Gwyn. See our guide on New Game Plus for a comprehensive checklist of things to do before completing a cycle. Area is known for high level PVP as it is only available to those who have killed a majority of the bosses. This area is one of the highest chance of being invaded while in human form. Five Black Knights, with different weapon configurations (axe, sword, spear, etc.). - Note that contrary to the other Black Knights in the game, these do respawn and also drop different Upgrade Materials, making this a good place to farm. First Black Knight drops Titanite Chunk, second drops Red Titanite Chunk, third drops Titanite Chunk, fourth drops White Titanite Chunk, and the last, fifth one drops Blue Titanite Chunk.